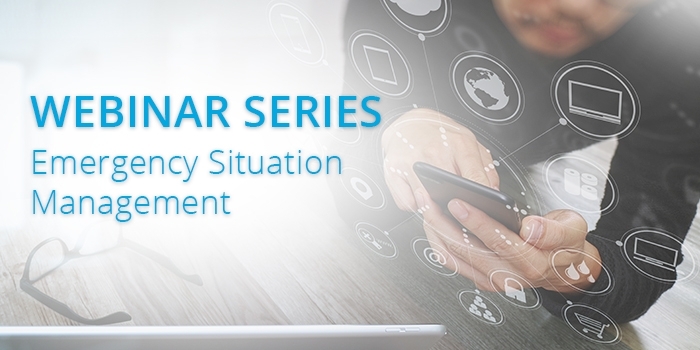 In our first blog post, we discussed highlights from our emergency situation management webinar featuring guest speakers Bill Curtis, director of emergency management at UW-Madison police department; and Chris Grant, emergency manager and San Bernardino Community College District. They shared their insights into setting up good relationships with local law enforcement and how to initiate the process of managing an emergency situation. In part two we’ll share their thoughts on what to do about social media, conducting tests and when and how to leverage a spokesperson. One of the quickest ways information spreads is through social media. While this can help people be aware of a dangerous situation it also has the potential to cause unnecessary confusion through disinformation. At UW-Madison, they actively monitor social media channels to identify any potential calls for help. Staff is trained to vet and understand info that comes in via social media channels, so an appropriate response can be made without escalating beyond what is necessary for that situation. At San Bernardino they use Hootsuite to monitor for potential events, and to vet and confirm information they are being sent. They are also working on a program that would have students and alumni act as virtual volunteers to help monitor social media, so messaging can be facilitated even if someone isn’t in the impacted area. Social media can act as an official communication channel, but in some cases a situation might require an official from the organization to communicate to the public at large. At UW-Madison, they rely on social media more than in-person interviews due to the speed they can reach out and the ability to control the message without needing talking points. However, there is a full-time communications director for their department to communicate with the community. Communication professionals help craft the messages, but it is senior management that is sharing that message and conducting interview with the media. At San Bernadino, they have public information officers for each campus. Not every situation needs to involve everyone, so they try and find the right administrator to deliver messages. The person at the top doesn’t always have the best lay of the land (for example, in one instance someone started referencing the wrong room numbers because they weren’t familiar with the buildings on campus), so having a knowledgeable person to communicate with media is important. This is part two of a three-part series. Part one looked at working with local law enforcement and how to begin managing an emergency. Part three will discuss different methods for engaging with groups and the frequency with which organizations should engage them.